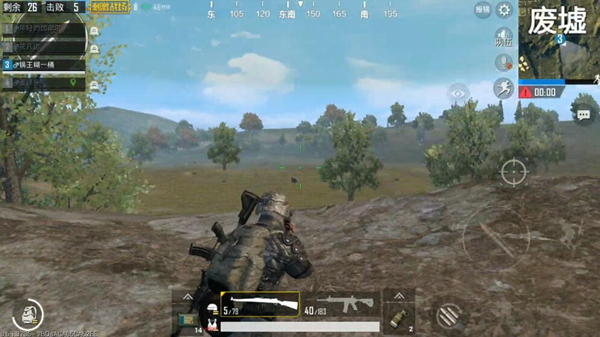 In the “PUBG Mobile: Stimulus Battlefield”, the refreshment of the security zone is randomly generated, some in densely populated areas, and in some cases may include open terrain. Today we are talking about the card point recommendations in the outdoor areas between schools, ruins and R City. 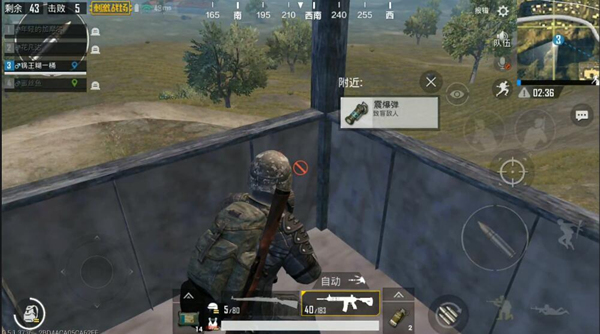 I believe that if you understand the following, players can use this area of ​​the safety zone even if they do not occupy the building. Extremely effective suppression of opponents. The desert map is a map mainly based on hilly terrain. 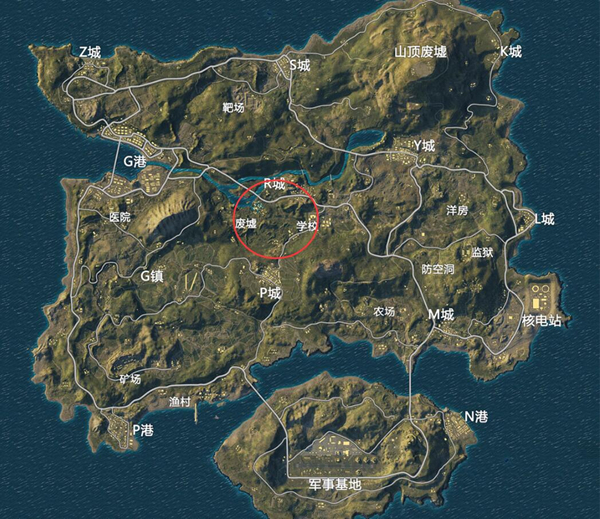 In this area, veteran players are The card point method has a certain understanding, the same way is also applicable to certain areas in the island map (see below). The regional location between R City, Ruins, and the school is more complicated. Because your opponent is likely to come from all directions, most players will not choose to do outdoor card points in the area, the biggest reason is the lack of security. The point terrain can actually be seen clearly on the map. There are plain basins, undulating hills, central area locations, and undulating terrain in the northeast, belonging to hilly terrain, other areas. The terrain is gentle and the edges can be seen at a glance. Point No. 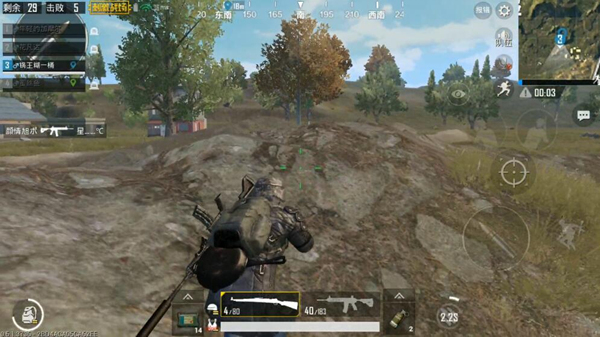 1 is located in the ruins area , A typical hilly terrain, and a small backslope above the hill, where the player only needs to squat down to effectively avoid bullets in any direction except the west direction. 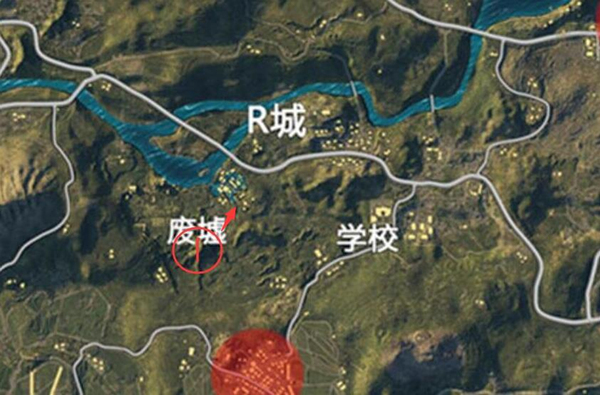 And the area is relatively independent, and there are no large-scale resource points around, and the probability of encountering the enemy is low, and the highland location can effectively guard the enemy in the direction of Shuicheng. The second spot is not particularly large However, because of the hilly slopes, there are a lot of back slopes. The player who has a certain skill in card position can easily suppress the enemies in multiple directions by means of the slope terrain of the area. Of course, the player’s awareness and skill requirements are also extremely high. Why ? Because if the area is stuck, it is very likely that it will suffer from enemies in multiple directions. If there is no obvious division of labor, it is easy to be attacked, so single and double mode card points are not recommended. Recommended four-person model, as long as the entire team has a certain degree of cooperation, then the point can belong to the three best positions. The third point is located at the top of the mountain between R City and the school. We are often called the water tower area, a typical mountainous area. The highest point is the wooden towers and small whistle-like buildings. The small whistle can be accessed. Three people can be accommodated without considering the influence field of view. However, due to combat needs, it is generally recommended to enter at most two people in order to avoid affecting actions and vision. The point advantage is that the players who are stuck in the interior of the Little Watch Building can first obtain most of the motion and vision of the city including the R City, the school, and the South Small Room. At the same time, there is also a certain suppression effect on the enemy on the 2nd area slope. However, the disadvantages are also extremely obvious, because the space is small, and each concealment and shooting needs to be switched from station to station and the operation is complicated. And it is easy to be shot by the sniper rifle, so choosing this point requires some skills and teammates. In summary, the single-player double mode is recommended to select the No. 3 and No. 1 points, and the double and quadruple mode can sort the No. 1 and No. 2 points. Do all the players have a new understanding of the terrain and card points in the area? ? Try it in the game!